Get to know your favorite freshwater fish species. 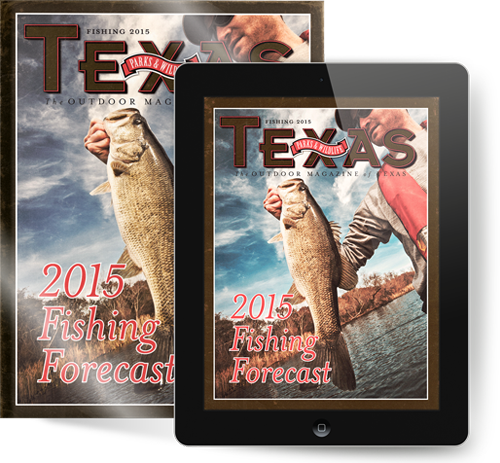 Experts have provided a special, free look into Texas’ most popular fish - including species descriptions (with top quality color illustrations), where to fish and how to catch them in this exclusive feature in the Texas Parks & Wildlife app! ▶For a unique interactive experience, download our free app. Apple iOS available now. Android to follow very soon. When you are looking for great fishing stories from TP&W magazine, you can start here. Fishing articles are organized into four groups. General fishing information will be found on this page, but species-specific articles can be found in Freshwater (white bass, stripers, hybrids, panfish, etc. ); Bass (largemouth, spotted, Guadalupe and smallmouth); Saltwater; and Fly-fishing. Use the links on the left to go to the sections you want. 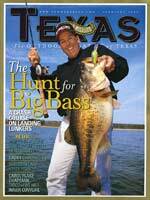 ﻿﻿﻿﻿﻿﻿﻿April brings bass, walleye and catfish for Texas anglers. ﻿﻿﻿﻿﻿﻿﻿Amateur anglers compete for $1 million in prizes in Sam Rayburn big bass derby. ﻿﻿﻿﻿﻿﻿﻿Warming weather means big fish in shallower waters. ﻿﻿﻿﻿﻿﻿﻿Winter brings opportunities for stripers on Lake Texoma. Family fishing vacations offer an elusive reward — time to just hang out together. Family togetherness and an opportunity to fish — two prime ingredients for a memorable spring or summer vacation. Success depends on recognizing your family’s preferences and planning to suit them. Some families like a leisurely jaunt to distant locations, while others want to get there quickly. Likewise, some prefer isolated spots with rugged conditions, while others feel they can’t leave modern conveniences behind. Luckily, a state as large as Texas offers something for everyone. Here’s a look at some of the top family-friendly freshwater fishing destinations in the Lone Star State. ﻿﻿﻿﻿﻿On April Fool’s Day 2011, Keith Miller set out on what some might call a fool’s errand. He proposed to catch a fish every day for a year. ﻿﻿﻿﻿﻿Because of the demands of daily life, many of us can go fishing only a few times a year, so our equipment sits for long periods of time. Sometimes we forget the “end of trip” maintenance that will keep our equipment going long and strong. With the spring season approaching, take a few minutes to make sure your gear is in good working order. Here are some essential tips. ﻿﻿﻿﻿﻿Although no one likes fishing in a crowd, having company on the water is just a fact of fishing life. However, there are steps every angler should take to make sure everyone has a safe, productive and enjoyable day on the water. Whether you’re fishing a lake, bay or river, basic angling etiquette is the best way to avoid problems and ensure a pleasant angling outing. 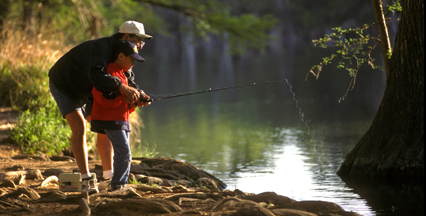 No matter what species of freshwater fish you seek, state parks offer some of the best fishing in Texas. And, you don’t even need a license to fish within the boundaries of a state park. More than 70 state parks participate in the Family Fishing Celebration. See The Free Fishing in State Parks website for details, including information on which parks loan fishing tackle or host special fishing events. The next best thing to a good fishing hole is inside information on how to fish it. TPWD park managers and freshwater fisheries biologists gave their top picks for state park fishing and shared some tips for success. I’ll profile some hotspots and give brief information on others. For more detailed information, including fishing tips, visit Recreational Fishing on the TPWD website. It's not a record fish until a certified scale says so. The bend in your rod makes it clear you've hooked a big fish. Once you've landed it, your handheld scale confirms what you suspect: It's a potential new state record. After the obligatory high-fives and photos, you release the fish to be caught again another day. As the fish disappears into the depths, you get a sinking feeling. Only you and your fishing partner know what the scale read - and it's never been certified as accurate. Did you just blow your chance at getting your name in the record book? The Texas Parks and Wildlife Department stocks channel catfish and, in winter months, rainbow trout, into eight urban lakes in order to provide close-to-home, family-friendly fishing for nearby residents. Skill Builder: What’s in a Name? How's the fishing? Our experts give the outlook for freshwater and saltwater angling in this exclusive, digital-only magazine extra. ▶ For a unique interactive experience, download the free iPad / iPhone app. How's the fishing? 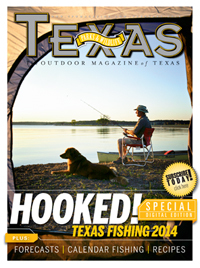 Our experts give the outlook for freshwater and saltwater angling in this Texas Parks & Wildlife magazine digital extra: Texas Fishing 2014. Are you ready for spring? 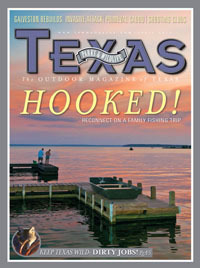 Find out the outlook for fishing in this Texas Parks & Wildlife magazine digital extra: Texas Fishing 2013. Do you want to know how the drought will affect fishing? 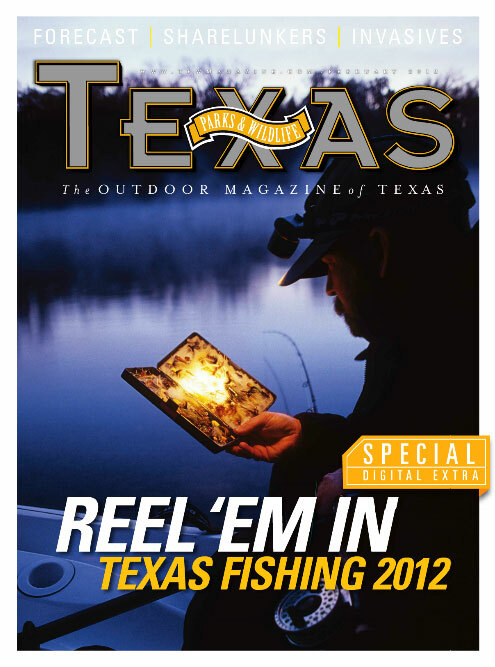 Find out in Texas Fishing 2012, a Texas Parks & Wildlife magazine digital extra. You'll find our fishing forecast, plus articles on big bass, fish attractors, invasive plants and more. It's our first digital-only offering. Check it out!